This article was originally published on Saturday, 2 February 2019 at 12:26 A.M. SGT; it has since been updated to include items on ST Engineering, No Signboard Holdings, Procurri Corp., Pine Capital Group, Ezion Holdings and Y Ventures and to update items on Courts Asia and DeClout. These are Singapore stocks which may be in focus on Monday, 4 February 2019. Singapore’s stock market will be open for a half-day of trade on Monday due to the Lunar New Year holiday. CapitaLand said on Friday its wholly owned subsidiary CL Concorde divested its 50 percent stake in Urbanco One to The Work Project Kingdom (TWPK), which is 50 percent owned by CapitaLand, for a total cash consideration of S$1.88 million and the assignment of its shareholder loans of S$1.28 million to TWPK. That brought TWPK’s stake in Urbanco to 100 percent, and Urbanco will be an associated company of CapitaLand, via its interest in TWPK, it said. 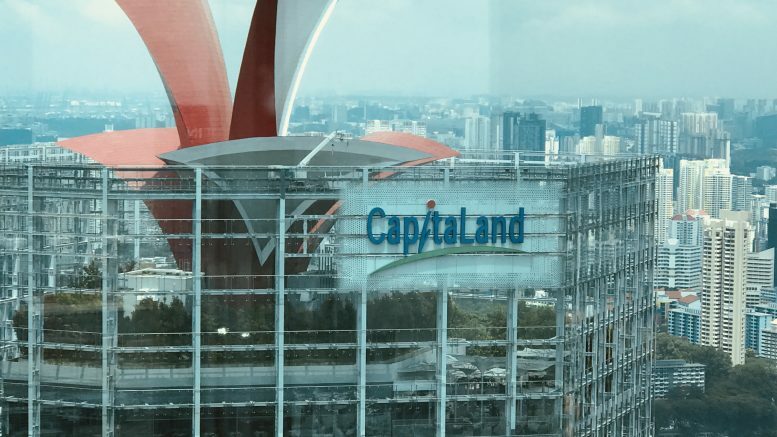 Both TWPK and Urbanco provide co-working spaces and the divestment streamlines the their businesses through TWPK, CapitaLand said in a filing to SGX on Friday. ST Engineering said on Saturday that its aerospace arm injected US$1.2 million, or around S$1.6 million, into the capital of its joint venture, Keystone Holdings (Global). Iconic Singapore chili crab restaurateur No Signboard Holdings attributed the surge in its share price last week to a mishandled share buyback by the company, it said in a filing to SGX on Sunday. It added that buybacks were temporarily on hold as a result. No Signboard Holdings reported on Friday its net loss widened in its fiscal first quarter as one seafood outlet was closed for a month for major repair works and as average spending per customer fell. Ezion Holdings expects to post fourth-quarter and full-year net losses on possible impairments to loans to joint ventures, the liftboat owner said in a filing to SGX before the market open on Monday. Mapletree Industrial Trust said on Friday that it had completed the acquisition of the property at 18 Tai Seng in Singapore by acquiring all of Marina Trust by MIT, which has now been renamed MIT Tai Seng Trust. The acquisition brings Mapletree Industrial Trust’s portfolio to 87 industrial properties in Singapore and 14 data centers in the U.S., via a 40 percent interest in a joint venture with Mapletree Investments, it said in a filing to SGX after the market close on Friday. Troubled water infrastructure player Hyflux said on Friday that it appointed Stirling Coleman Capital as the independent financial adviser for the company’s independent directors to make a recommendation on SM Investments’ proposed investment in the company. Details of the proposed investment and the independent financial adviser’s advice will be sent to shareholders “in due course,” Hyflux said in a filing to SGX on Friday. Noble Group said on Friday that the application for winding up Old Noble, its pre-restructuring entity, would be heard on 8 February in the Supreme Court of Bermuda in a procedural step of the restructuring process. After the completion of the restructuring in late December, Old Noble transferred all of its assets and business to New Noble, or Noble Group Holdings Ltd., it said in a filing to SGX on Friday. Provenance Capital, the independent financial adviser to DeClout’s independent directors, recommended accepting the terms of the S$0.13 a share takeover offer from Kyowa-tied Exeo Global. “Based on our analysis and after having considered carefully the information available to us as at the latest practicable date, overall we are of the view that the financial terms of the offer are fair and reasonable,” the adviser said, according to the offering circular sent to shareholders and filed to SGX after the market close on Friday. “Accordingly, we advise the independent directors to recommend shareholders to accept the offer,” it said. The offer’s closing date is the close of business on 4 March, it said. In a separate filing on Sunday, it said Exeo Global had received valid acceptances representing around 65.17 percent of DeClout’s issued shares. Citic Envirotech said on Friday it obtained a 310 million yuan (S$62.04 million) project for industrial hazardous waste treatment in Shihezi City, Xinjiang Province, in China. Hi-P International said on Friday that its wholly owned subsidiary Huglomerate (Shanghai) International Trading acquired an additional 20 percent stake in a joint venture company for 20 million yuan (S$4.01 million) from its partner Cino Coffee Machine Mfg, which holds the remainder of the joint venture. Under the deal, 5 million yuan of the consideration will be injected into the joint venture as registered capital and 15 million yuan will be a capital reserve, it said in a filing to SGX on Friday. The joint venture’s unaudited net tangible asset value was around 35.33 million yuan as of end-December, the filing said. Read more about Hi-P International here. No Signboard Holdings said on Friday that Danish authorities placed its wholly owned Denmark subsidiary, Draft Breweries Denmark ApS, in compulsory liquidation due to non-compliance with corporate filing requirements. “Having considered the cost of recovering the Subsidiary from liquidation, the company determined that the cost of doing so outweighed the benefits, as the subsidiary currently has no material operations or assets,” No Signboard said in a filing to SGX on Friday. Previously the subsidiary held the Draft Denmark beer brand trademarks for Singapore and the EU, but late last year, the trademarks were transferred to NSB-IP Holdings, a wholly owned Singapore subsidiary which was created to hold the company’s intellectual property, it said. Read more about No Signboard Holdings here. Nojima Asia Pacific, a subsidiary of Nojima Corp., said on Friday that its S$0.205 a share takeover bid for Singapore-listed home appliance and furniture retailer Courts Asia has become unconditional as it has received acceptances by more than 50 percent of the company’s shares. That had been the offer’s only condition, it said. As of the close of business on Friday, it had received valid acceptances had reached 73.82 percent of Courts Asia’s shares, it said in a filing to SGX after the market close on Friday. The formal offer document have been sent to shareholders of Courts Asia, it said in a separate filing to SGX on Friday. The offer closing data has been extended to 15 March, it said. A separate filing to SGX on Saturday said Singapore Retail Group had tendered its 73.82 percent stake in Courts Asia in acceptance of the take-over offer. Singapore Myanmar Investco said on Friday that its wholly owned subsidiary SMI Retail entered a deal with DKSH Holding (S) to incorporate a Singapore-based joint venture company called DKSHSMI to retail Levi-branded apparel in Myanmar. SMI Retail would invest US$150,000 (S$202,500) for 150,000 shares in the joint venture, or a 50 percent stake, it said in a filing to SGX after the market close on Friday. Stamford Land said on Friday that it divested its entire 100 percent interest in Australian subsidiary MPV Management Services, or MPVMS, to Muweku, an unrelated company, for at least A$1.32 million (S$1.29 million). MPVMS is involved in the property management of units in Macquarie Park Village, Sydney, Australia, which is a Stamford Land development which was completed last year, it said in a filing to SGX after the market close on Friday. Read more about Stamford Land here. Roxy-Pacific Holdings said on Friday that its subsidiary Roxy Homes acquired an additional 5 percent stake in the company’s indirect subsidiary RH Tampines from Rich-Link Development for S$1.6 million. That brought Roxy Homes’ stake in RH Tampines up to 90 percent from 85 percent, it said in a filing to SGX on Friday. Read more about Roxy-Pacific Holdings here. Y Ventures said on Friday its board believed there was no fraud involved in the erroneous accounting that led to it restating its first-half results to a loss. No Signboard Holdings said on Friday that its wholly owned subsidiary NSB-Crab Factory (China) incorporated a wholly owned subsidiary in China called Lion F&B Management (Shanghai) with a registered capital of 3 million yuan (S$601,068). Lion F&B Management (Shanghai) will primarily be involved in food and beverage management, providing consultancy services on business information, enterprise management and marketing planning, it said in a filing to SGX on Friday. The company has previously indicated an interest in expanding to mainland China. Ezion Holdings said on Friday that it issued 20.22 million new ordinary shares to Asdew Acquisitions at an issue price of S$0.2763 due to the exercise of a call option. The total amount of US$4.15 million, or around S$5.59 million, was paid by offsetting the amount the company owes to Asdew Acquisitions, it said in a filing to SGX after the market close on Friday. The new shares will be listed on the main board of SGX on or around 7 February, it said. Read more about Ezion here. China Yuchai International, which is more than 40 percent owned by Hong Leong Asia, said its main operating subsidiary Guangxi Yuchai Machinery (GYMCL) increased its stake in subsidiary YC Europe to 75.0 percent from 67.5 percent, it said in a filing to SGX after the market close on Friday. GYMCL acquired the 225,000 YC Europe shares, or 7.5 percent stake, held by Heinz Norbert Schuchert for a total consideration of 225,000 euros (S$348,458), it said in a filing to SGX after the market close on Friday. Read more about Hong Leong Asia here. Procurri Corp. said on Saturday that New State Capital Partners, a U.S.-based private investment firm, has provided a non-binding letter of intent (LOI) proposing to acquire all of the company’s shares, other than treasury shares and shares held by substantial shareholder Irrucorp. Completion of the proposed acquisition is conditional on due diligence by New State and shareholders’ approval, it said in a filing to SGX on Saturday. SingHaiyi Group reported on Friday that its fiscal third quarter net profit more than doubled to S$4.0 million from S$1.37 million in the year-ago quarter amid higher gross profit margins due to more revenue from the higher-margin U.S. property development. Revenue dropped 62.0 percent on-year to S$15.81 million on less revenue recognition for the completed executive condominium project, The Vales, and the completed private condo project, City Suites, partially offset by sales of its completed commercial condo project, Vietnam Town phase two unit, it said in a filing to SGX after the market close on Friday. Other income also increased to S$2.9 million in the fiscal third quarter, from S$400,000 in the year-ago quarter, mainly on forfeited non-refundable deposits of S$1.8 million from the termination of the bulk sale agreement for Vietnam Town phase 2 units and on an increase in investment income, which was due to dividend income from its investment in Australia-listed Cromwell Property Group stapled securities, the filing said. Read more about SingHaiyi Group here. Pine Capital Group said in a filing on Sunday that the reasons for the termination of Jessie Sun May Gze’s appointment as chief operating officer included unresolved differences of opinion on material matters which need to be brought to the attention of shareholders. After being advised by its lawyers, the board will need time to consider the responses to the issues raised, the filing said.